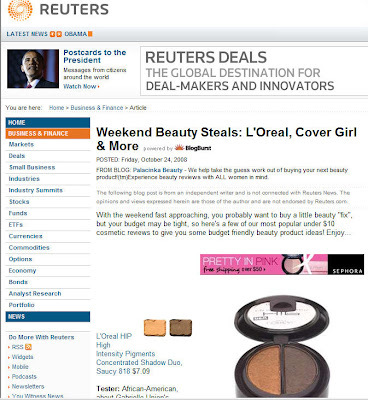 Palacinka Beauty blog was recently featured in Reuters News for one of our Weekend Beauty Steals pieces! You can read the entire post with reviews for 3 top drugstore picks here. Click here for more Palacinka press.